Meet the team at Shackelford Heating & Cooling. 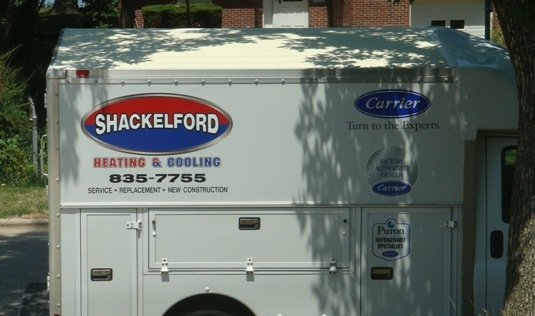 Shackelford Heating & Cooling is a family-owned business based in the Madison area. We pride ourselves on delivering the highest quality at reasonable prices. Our technicians average over 20 years experience and are professional, courteous and on time. We specialize in Replacements, Service and New Construction for residential customers. We are a licensed, factory authorized Carrier dealer. You deserve the best, which is why we carry a top-quality line of Carrier products and equipment. From products as simple as ventilators and humidifiers to air conditioning systems and geothermal heating solutions for your home or commercial building, we’re committed to providing you with the best. When you do business with Shackelford Heating & Cooling, you are backed with the complete Carrier Warranty & our 100% satisfaction guarantee! 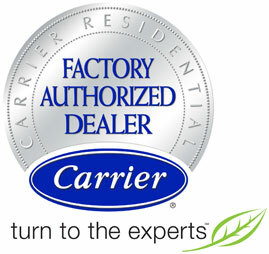 Typically, Carrier products come with a 10-year parts limited warranty. Depending on your model, certain components within the product may have different standard warranties. Complete Carrier Warranty information is available on the Carrier Residential website. If you have any questions about your coverage, contact us! We’re only a phone call away.